The Boise River flows quietly into the Snake River at Martin Landing. Day use and overnight camping are available at Martin Landing. Walk in camp sites provide great river and fishing access. Tent camping sites at the confluence. The lower Boise River at Martin Landing is a slow, reflective stream. Martin Landing Campground has 12 camp sites; eight are accessible by car or RV and four are walk-in tent sites. Martin Landing campground host Linda Lavendar welcomes visitors. An aerial view of Martin Landing at high water in June 2011 shows a functioning floodplain. All rivers come to an end, and the Boise River disappears silently into the storied Snake River at a place called Martin Landing. Located less than 50 miles from downtown Boise, Martin Landing is a part of the Idaho Department of Fish and Game's Fort Boise Wildlife Management Area, which is managed in cooperation with Canyon County Parks and Recreation. Martin Landing is 60 acres and lies to the south of the Boise-Snake confluence. A larger part of the management area is located on the north side of the confluence. Gold Island in the Snake River is also a part of the system. As the days grow shorter and cooler, and snow starts to fall in the high country, a trip to Martin Landing can provide family-friendly entertainment. There are two camp areas with eight sites accessible by car or medium RV and four tent-only sites a short walk from the parking lot. There are two vault toilets, picnic tables, water, grills and fire pits. The walk-in sites are at the confluence and offer beautiful views and easy fishing. Hundreds of trees have been planted in the campground. The camping is free, and there's a camp host onsite. Martin Landing sports a pretty good seasonal small mouth bass fishery and offers outstanding channel catfishing, according to Fish and Game. You might also encounter a giant flathead. Native fish enjoy the area as well, in part because sediment from the Boise and Owyhee rivers creates islands in the Snake River channel and adds a significant amount of logs and wood, which fish love. Water quality clears up after irrigation season ends, which is right about now. Both birds and birders flock to Fort Boise Wildlife Management Area. The diverse habitat offers food and shelter to a variety of waterfowl, shorebirds, songbirds, upland birds and raptors. 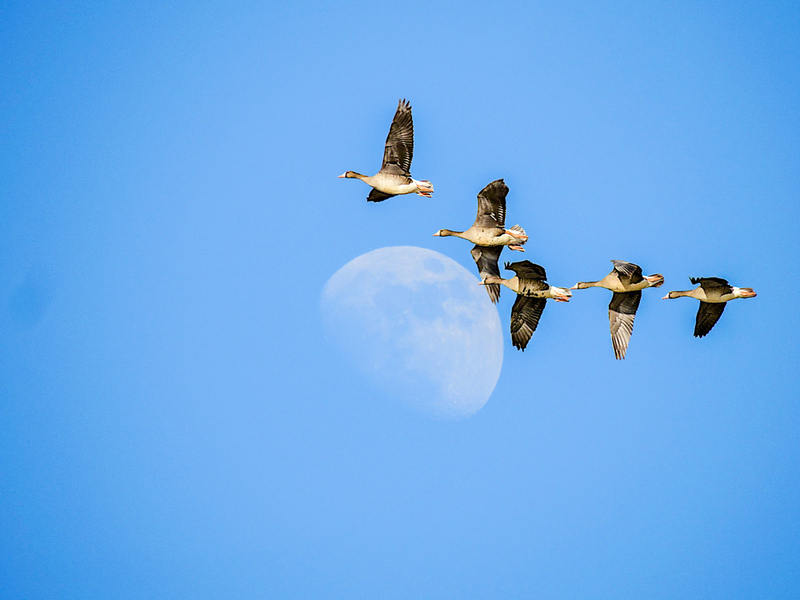 In the spring, this is Idaho’s most dependable location to view thousands of snow geese and greater white-fronted geese. The Boise River starts high in the Sawtooth Mountains and flows more than 100 miles to reach Martin Landing. 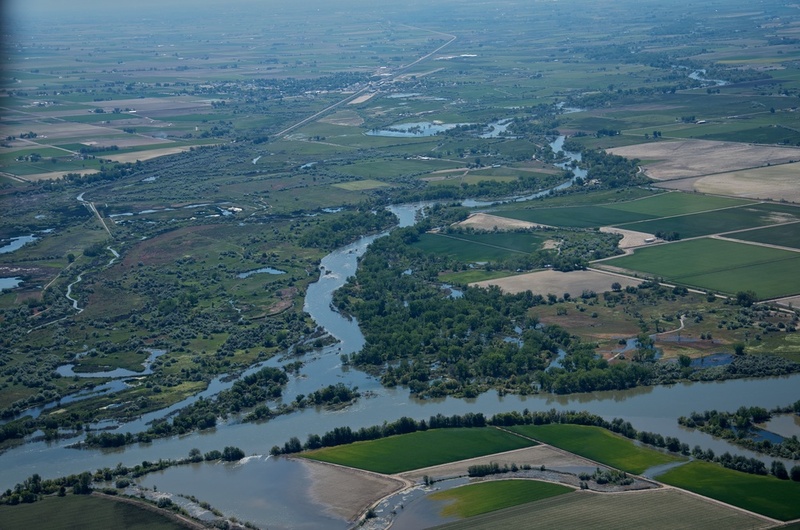 Threading Idaho's largest urban area and one of it's most productive agricultural regions, the Boise River defines its region. A fall day is a good time to visit Martin Landing and say thanks and goodbye to the Boise River as it it slips into the expanse of the Snake River.